Fermentation to wine has, for thousands of years, been the only available means of preserving the nutritional value of the plentiful fruit harvest in hot climates, and incidentally of providing a water supply safe to drink; but it has always had its drawbacks. Alcohol is a metabolic poison, attacking your liver and kidneys as well as making exceptional demands of them. When fortified and purified by distillation it is separated from the vitamins and minerals in the original fruit or grain, which you need to metabolise the alcohol as fuel; you steal these from other food sources in your body to relieve the poisonous effects as quickly as possible. Spirits and chemically refined beers and wines are therefore a drain on your nutrition. This is why sherry and cocktails are such effective aperitifs —they steal trace nutrients and lower your blood sugar, making you hungry. In excess, of course, the alcohol itself and this hypoglycaemic effect combine to stupefy your palate and general sensibility. The "chronic depressive": over-stimulated with the brain sedative histamine, who slowly drinks himself todeath because of his depression. The "over-stimulated" individual who has too little brain histamine to relax and breaks his periods of tension by alcoholic binges at weekends. This is the direct contrast of the chronic depressive. The "cerebral allergic"who becomes dependent on alcohol and over-indulges, but is embarrassingly hypersensitive to intoxication. There are probably a few "pre-diabetics with hypoglycaemia" who use alcohol as a handy means to satisfy their frequent carbohydrate cravings. Once dependence on alcohol is established, for any of these reasons, itenters the adaptation phase of stress disease for anything up to several years. Provided you can get alcohol regularly it cheers you up, keeps you functioning and makes you quite confident you can give it up whenever you want to. But if you cannot get it, you become irritable and nervous, gloomy and unable to concentrate or function well. Eventually the periods of good cheer shorten and you need to drink earlier in the day and more heavily to keep going. By this time your mineral and vitamin nutrition are gradually deteriorating with secondary effects on your appetite and metabolic organs. Your liver in particular is poisoned by every drinking bout. Cirrhosis is the fibrous inflammatory healing process that patches up wounds in your degenerate liver. At first it may swell as a result but eventually the fibrous tissue shrinks and strangles its circulation and bile passages. Total exhaustion of your response to alcoholic stimulation heralds the end stage of your illness in which structural disorders of your liver and kidneys predominate. Even at this stage, however, a lot can be reclaimed if you decide to try appropriate corrective action. 1. If you wish to enjoy alcohol safely, choose ‘real ale’ and wines made by traditional chemical-free methods — preferably from ‘organic’ fruit or grains; those grown on naturally composted soils without chemical pesticides. 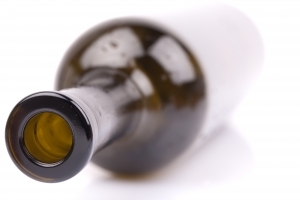 Fine organic wines are now widely available, some of which are suitable for diabetics and vegetarians. 2. Spirits are more dangerous, especially to young people: consume them rarely. Avoid establishing a daily drinking habit and avoid getting drunk. 3. If you intend to drive within six hours, do not drink at all. 4. If you abuse alcohol you must accept and realise this before you can even begin to get better. So long as you think you are in control and could give it up any time, nothing can help you. When the truth dawns join Alcoholics Anonymous. 5. If your alcoholic partner refuses to admit it, join Alcoholics Anonymous. 6. The alcoholic who can still function normally needs urgent help with a healthy diet emphasising whole protein foods a little — fish, milk or yoghurt, peas and beans. He should avoid refined starchy snacks and sugar of allkinds to combat hypoglycaemia. 7. The sick alcoholic, who probably has significant liver degeneration already, needs instead a low protein diet for health so as not to overload his weakened capacity for protein metabolism. The last three are important minerals to supplement: these together will correct the excessive Copper and deficient Magnesium levels found in many alcoholics. All the supplements should be infood state or bionatured form. 9. In skilled hands, Traditional Chinese Medicine can help to reduce alcohol dependence. Hypnotherapy makes similar claims but should only be put in the hands of a therapist mature enough to cope with the complex and deep-seated psychological problems hypnosismay reveal. A Psychiatrist or Clinical Psychologist should ideally be involved in the process.